Codester is a Marketplace for buying PHP scripts, themes and etc similar like PHPJabbers. If you want to have some readymade scripts and do not want to develop Codester is the right place for you. For those of you who are building your way to the top of the web developing industry, Codester is the place where you can sell your work and generate a passive income. The registration is free; you only pay a commission each time you make a sale. 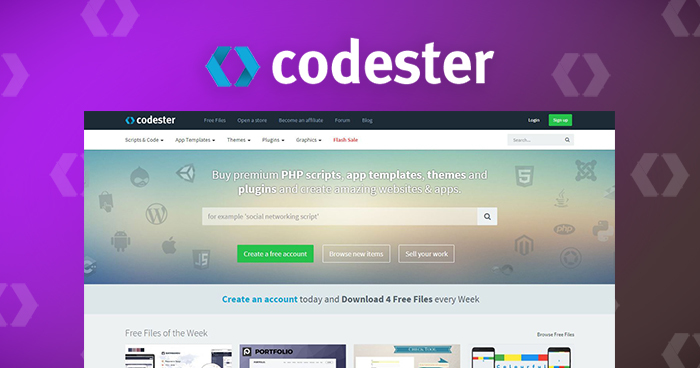 Codester is the ideal resource for developers and designers looking for themes, plugins and app templates. Here is an overview of the marketplace and its offers.